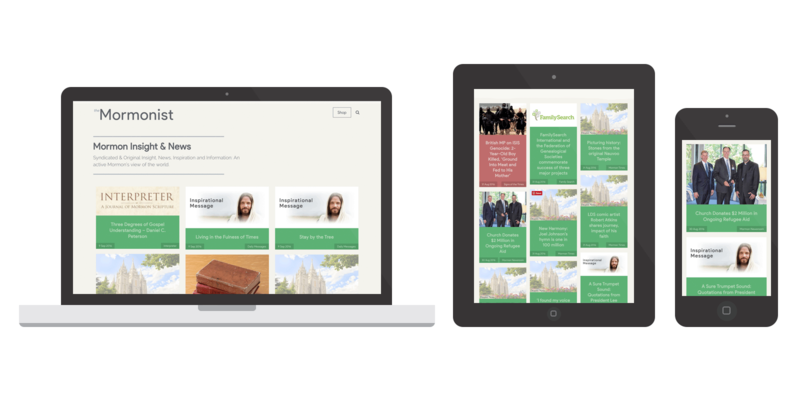 The Mormonist is a news aggregate site, pulling news articles from various feeds, reflecting the Church of Jesus Christ of Latter Day Saint’s beliefs and culture. Pulling in content from multiple sources, while maintaining a cohesive design. Spark Logix Studios has designed a new platform for their clients, a News Aggregater, which we decided to test by building a website we were interested in visiting. The front page is almost entirely automated, using a simple RSS feed import, the newest posts for each specific topic, from a wide variety of websites are automatically pulled to the homepage. With the exception of the “Signs of the Times”, zero effort is required on the part of the website admin to update the content on the website, it is entirely automated. With this powerful new tool and framework, Spark Logix Studios can quickly and easily create entire websites that generate fresh content daily, pulling from various sources provided by our clients. Perfect for small businesses, local broadcasting, local radio, local news stations, and niche market websites, Spark Logix Studios can help drive traffic to your website through organic, content driven approaches.